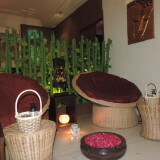 Relax, Refresh and Rejuvenate at Amrita Spa. We serve 100+ guests on any particular day. Whether you choose a Massage package or our amazing Massage Services. Please Last appointment can be booked by 8:30 PM only. Our highly trained therapists and beauticians will pamper you while coaxing your body into a state of serene tranquility, enhanced beauty, and vigorous health. 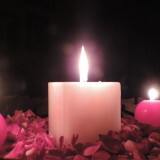 Amrita Spa is a luxurious day Massage providing massage services at competitive prices in Delhi. 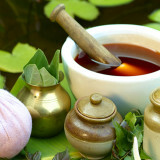 We are a top wellness Massage & spa offering Ayurvedic and International therapies. 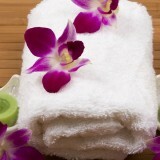 The services include Body Massages, Full Body Massage, body scrubs, body packs & wraps and face therapies. 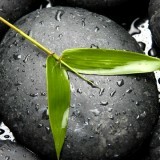 Simran know the massage well, I am really enjoyed the massage and especially back pain and shoulder pain. Best of luck. Ms.Tina is a very good therapist. She knows the therapy which well courage client to come again. Geeta is Very pretty and nice behavior. Excellent massage. Geeta has left… she was a good therapist .. Will She be back ? Can anyone tell where has she joined ? Good massage, spent good time with Anny and very friendly with customer. So keep it up guys. Will come soon again. Neha is very quit & beautiful and very cooperative so I like very much. Anny was extremely good and made me feel comfortable. The massage was great.5/5 for the therapy. Had a wonderful time with Geeta. She is very good and professional. The massage was fine not that good. It was just fine. Enjoyed a massage, it was letter than I expected. She knows how to satisfy customers would recommend other customer to take Tina. It is a good place and good satisfaction for both of them. It’s a decent hygienic place, massage was done and gratho touch. Simran has a polite therapist, which is very good. Good massage. She knows to satisfy the customer and very cooperative. Simran was very nice and her massage. Next massage also I want from simran. The best Massage i have seen in Delhi. This is first time at Amrita spa..I think, now onwards, i would be a regular client of them… Its been an awsm experience here…..I truly felt fully rejuvenated.. The service was pretty good. Going to visit her again for the massage regularly. Keep up the work. Neha Very good nature and cooperative staff. 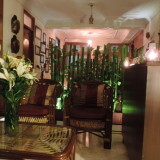 The anny massage was so excellent, good going to visit. Good service by Riya. Awesome service, very good cooperative. Hey Is Geeta Back > i Visited last week she wasnt till then.. Awesome service, very good cooperative.